Join Figment on this fun Disney World ride through the imagination. 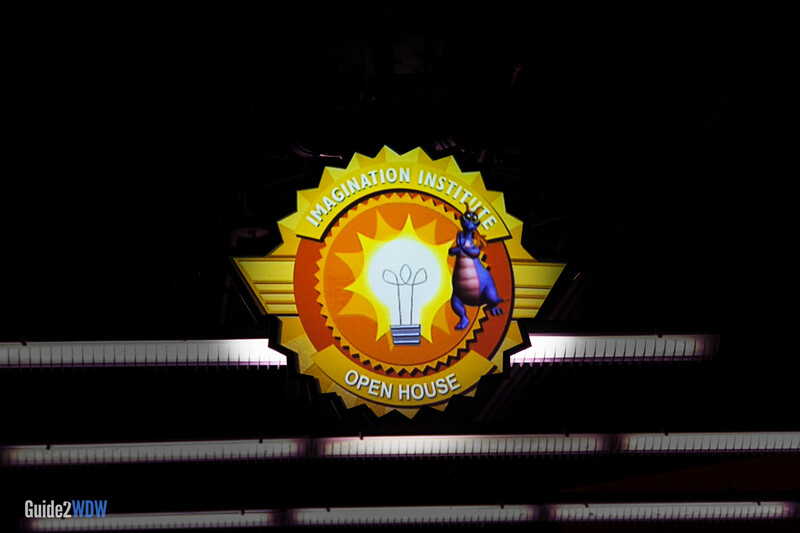 The Imagination Institute is having an open house, and you are invited! 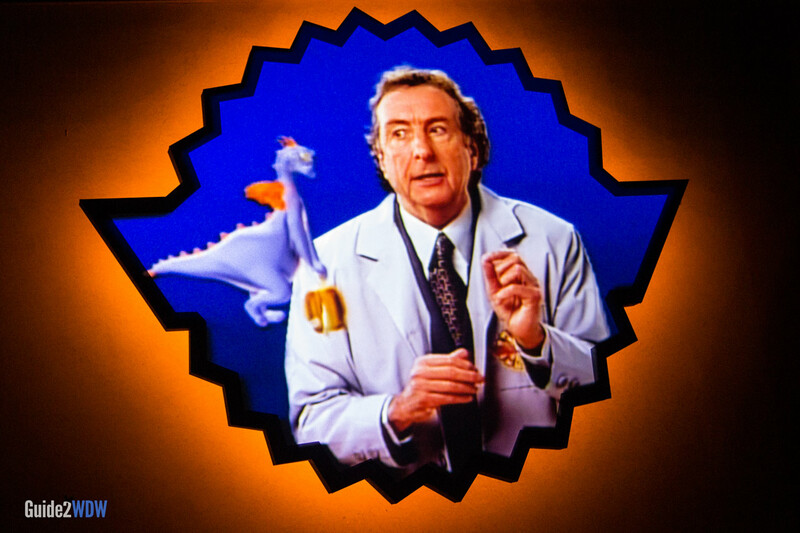 Join Dr. Nigel Channing (Monty Python’s Eric Idle) and Figment the purple dragon for a tour of the Imagination Institute. 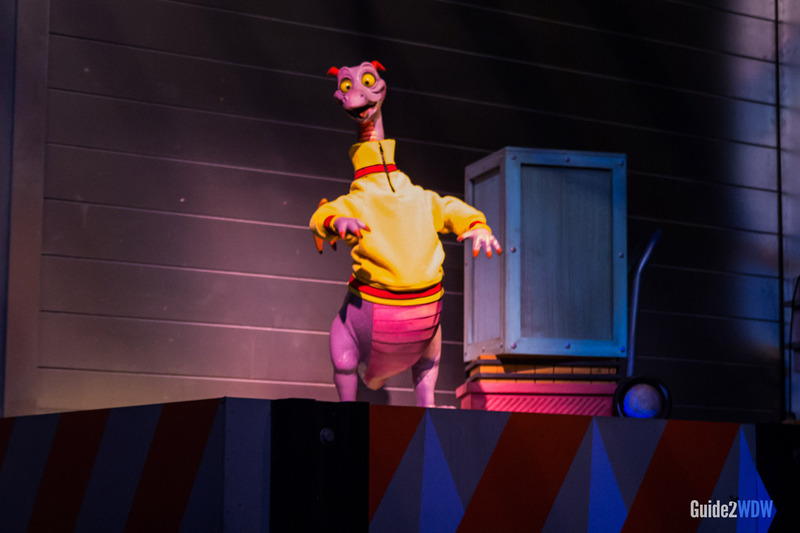 Riders will go through the senses of sight, smell, and sound, which are a bit too predictable for Figment’s imaginative liking. By encouraging everyone to let their imagination run free, Figment puts an end to Dr. Nigel’s conventional and predictable behavior. This ride is bright, colorful, and lively from start to finish. Journey Into Imagination is a wonderful improvement to the previous Figment-less version, but falls short of the original which also included the beloved character Dreamfinder. We like this attraction, but it’s not on our must-do list each time we visit Walt Disney World. However, the lines are short enough that if you’ve never been, this ride is definitely worth checking out. You might even want to buy a Figment plush on your way out! This dark ride is good for all ages, but a couple of moments could startle or frighten sensitive riders, but these are admittedly mild. 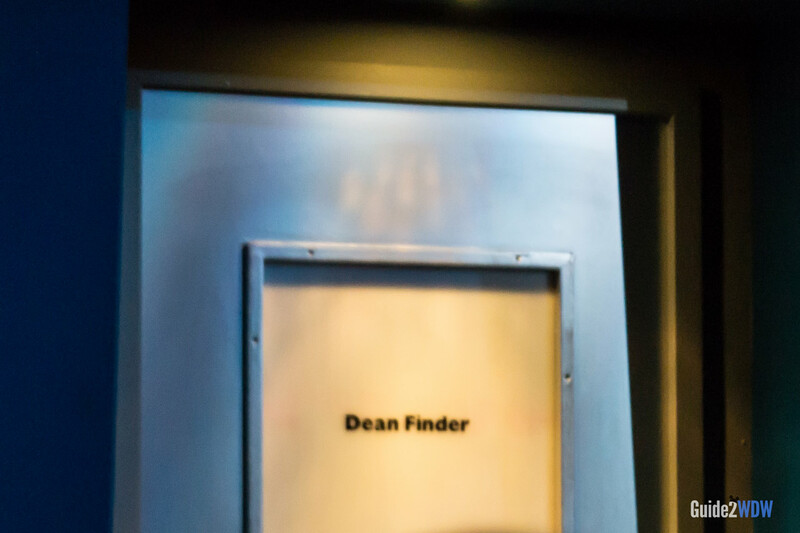 While Fastpass+ is available for Journey Into Imagination with Figment, it’s better used on other attractions. Outside of the busiest days of the year, Journey Into Imagination has very short waits. After you enter the Smell Labs, be prepared to hold your breath or breathe through your mouth. You’ll quickly figure out why. The song featured in this ride is called “One Little Spark” – it was written by the Sherman Brothers, who composed many of Disney’s iconic songs.